USB 2.0 compatibility doesn't guarantee support of High Speed (480MBit/s) operation. In order to use High Speed with a Colibri module, an external controller (e.g. ISP1761) is needed. Toradex provides schematics and a driver to add a ISP1761 or ISP1762 to the Colibri. The PXA310 has a USB 2.0 480MBit (High Speed) device. But only device, not Host. The Colibri Tegra modules support USB 2.0 High Speed host and device. Starting with WinCE 1.1 and Linux 2.0 images, USB speed is configured to run up to high speed by default. Older images by default were configured to run at full speed only. Erasing at 0xe00000 -- 100% complete. The Colibri Vybrid and IMX6 Colibri/Apalis modules support USB 2.0 High Speed host and device. USB speed is configured to run up to high speed by default. It is possible to force USB host and device to behave as full-speed only to avoid issues with carrier boards designed to support only 12MB/s transfers. The following registry keys can be set to 0 to disable high-speed support. Newer Carrier Boards like the Colibri Evaluation Board V3.1 or the Iris carrier board support USB 2.0 high speed. The Colibri Evaluation Board V2.1, Orchid, and Protea carrier board are not designed for USB 2.0 high speed. 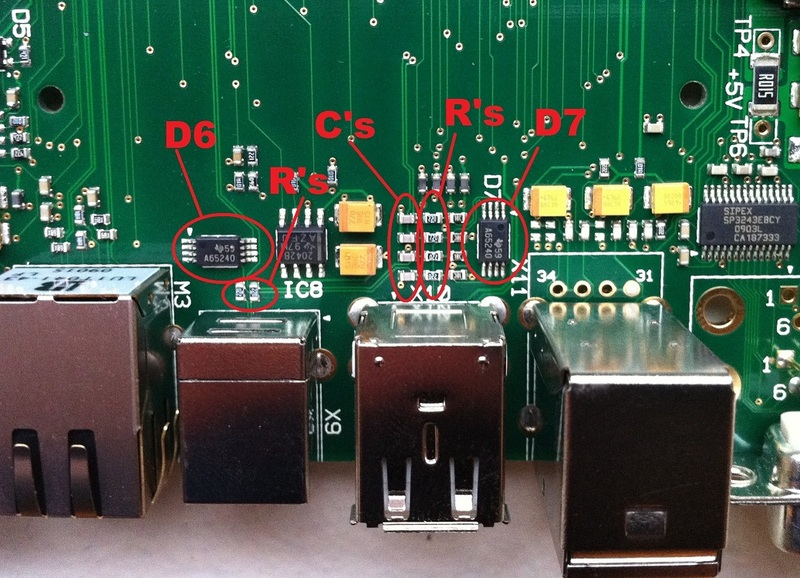 However, for test purposes, it is possible to modify the boards to support USB 2.0 High Speed. Please note that this modification voids the warranty. You will also remove the ESD protection from the USB port. Replace 6 resistors with 0 Ohm resistors or with a solder bridge (R's). 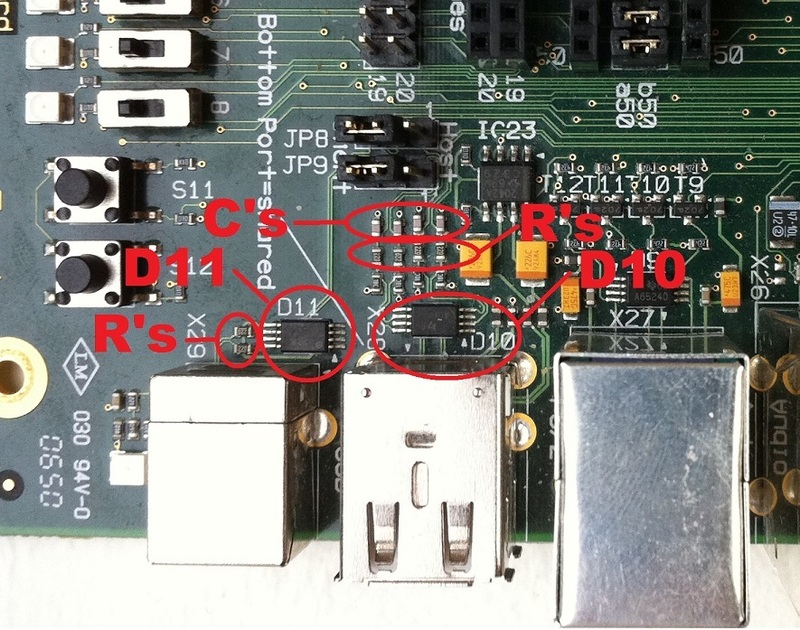 You do NOT need to remove D10 and D11 (ESD protection), however make sure that you only connect pins 1 and 2 (USB Host) or 3 and 4 (USB Client) of the jumpers JP8 and JP9. You can not use the board in detection mode with this setup any longer (all three pins connected). Remove D6 and D7 (ESD protection). Be very careful to not remove the pads! !